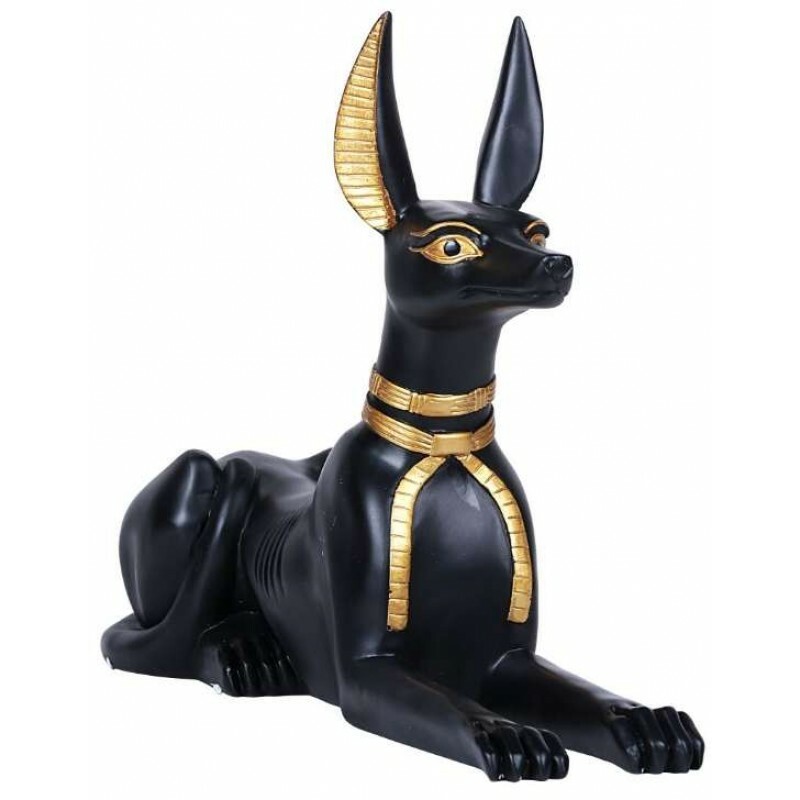 Anubis, the Egyptian God of the Dead, was represented as a jackal or having the head of a jackal because they would howl during burials. 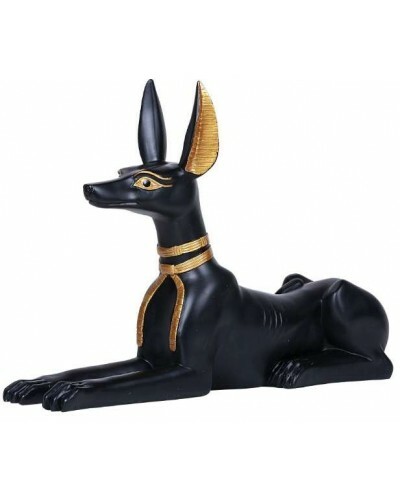 Jackals would often appear in the Valley of the Kings during the entombing of Pharaohs and could be heard howling from the West bank of the Nile which also associated the West with death. 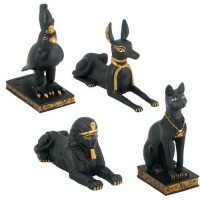 Anubis lead the deceased to their audience with Osiris and stood watch during the Weighing of the Heart ceremony to see if they are worthy to enter the Duat. 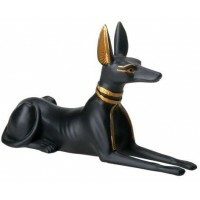 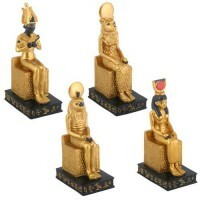 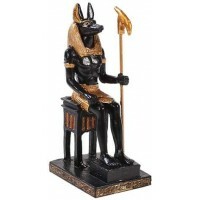 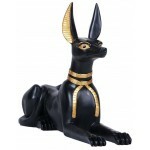 Statues similar to this was found in tombs as Anubis was also said to be the guardian of mummies. 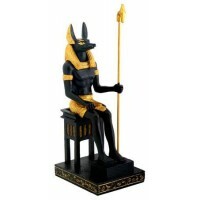 Black with hand painted gold detail is solid cold cast resin and measures 20 inches long, 13 1/2 inches tall. 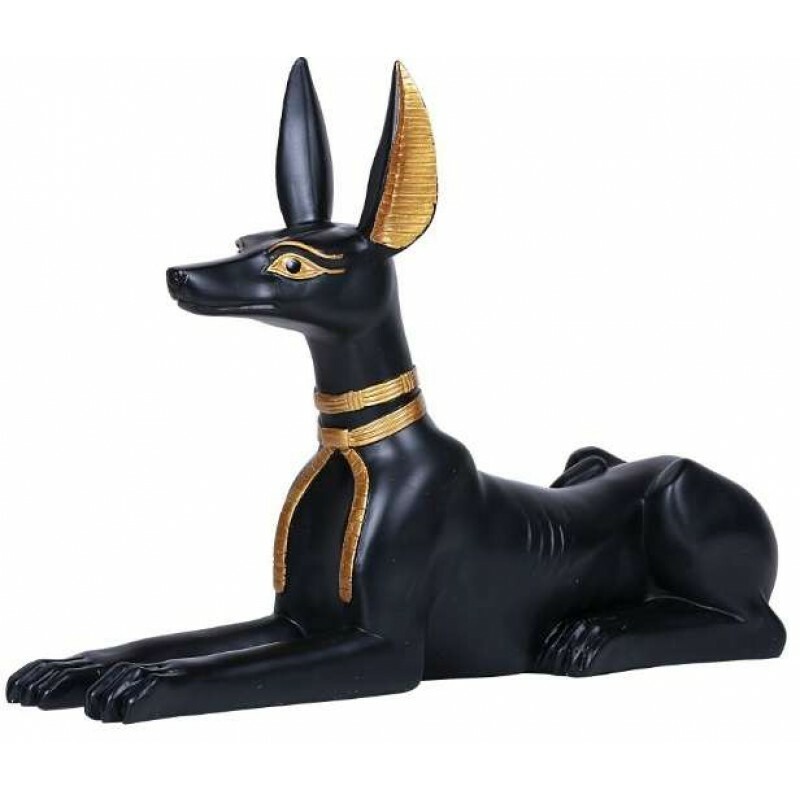 Item Number: PT-12722 | Approximate Size (Inches): 20.50 wide x 5.50 deep x 13.25 high | Approximate Shipping Weight: 8.00 lbs.